Azama Mew Snags “CanCam” Cover! I was bored last night and did some snooping on CanCam magazine’s server. By accident I stumbled upon a screen capture of a video and discovered that our lovely Azama Mew will be gracing the cover of CanCam’s March 2011 issue! Congratulations Mew! This will be the third time she models the cover alone. She looks BEAUTIFUL. There is also a video that interviews Azama Mew about snagging the cover. And it takes you behind the scenes of the magazine’s photoshoot with Mew. CanCam does not have that video public yet, so I won’t post it until they do. Mew is now one of the top models at CanCam. Go Mew! Our lovely girls from PGSM got together again right before Christmas (Keiko was MIA). The girls gathered on December 23rd to celebrate a late birthday for Izumi Rika, and a early birthday for Azama Mew. 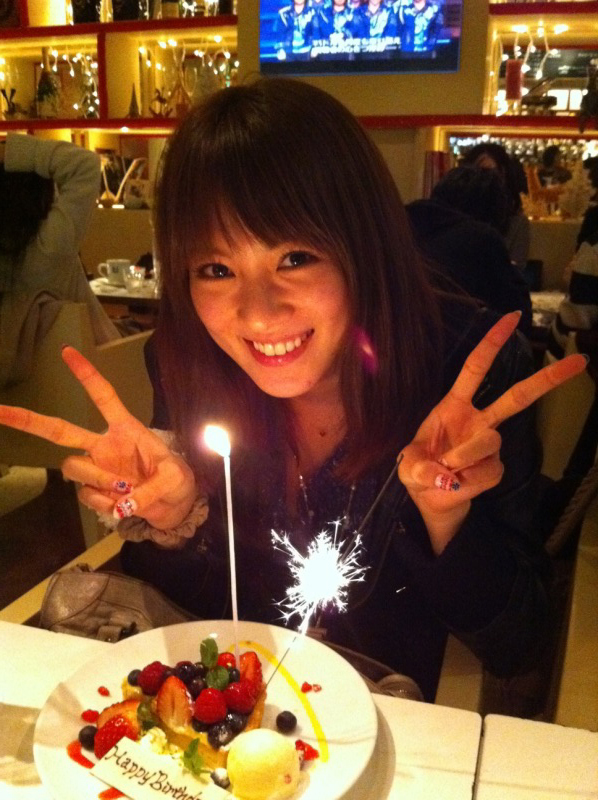 Sawai Miyuu noted on her blog that Kitagawa Keiko was unfortunately not able to make it. Miyuu hopes that everyone would be able to get together again some time. Its so cute to see the girls still hanging out six years after PGSM’s filming ended. It seems they have really formed a bond with one another. 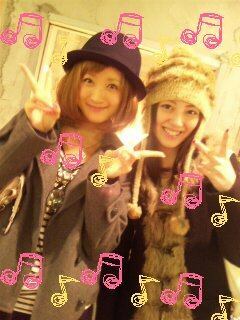 Rika and Mew went shopping together on December 19th. 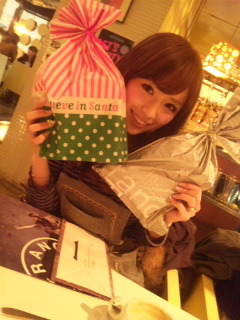 Miyuu and Ayaka did the same on December 24th. Keiko has been missing in action, but its mainly due to her ultra busy schedule. Like Miyuu, I really hope to see all five girls get together again some time soon. Brings back a lot of nostalgia. Merry Christmas everyone! 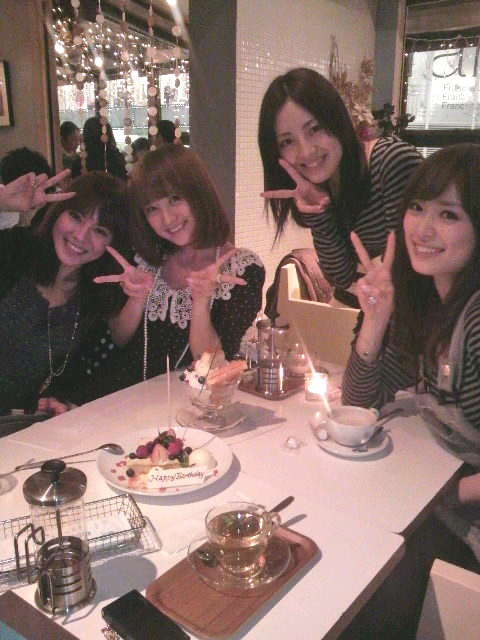 After their PGSM days, the five Senshi actresses have always kept their bonds with each other, even to this day. And a number of Senshi reunions have been continuously held over the years; Not to mention their keeping in touch over the net. However, due to the ascending of Kitagawa Keiko (Hino Rei / Sailor Mars in PGSM) toward A-list artist status, and her resultant heavy workloads, she has been missing in the Senshi reunions for more than half year. So her presence in the one held the night before yesterday is miraculous – Especially as it was organized within a short notice. I think the five busy girls have constantly cross-matched their schedules to squeeze out some precious time slots to meet; Hence their often hurriedly planned meetings. 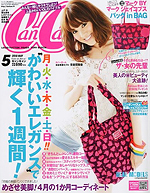 After years of modelling, Azama Mew (Kino Makoto / Sailor Jupiter from PGSM) finally landed a solo cover appearance on a major mainstream fashion magazine – the May 2010 issue of CanCam! It is her very first time accomplishing that on a fashion magazine – she had not done that even during her Seventeen and brief Non-no days. Congrats Mew Mew! Sapporo Collection 2010 takes place in Hokkaido and once again a PGSM actress is participating, but not the one you might expect. Izumi Rika took part in the fashion extravaganza in 2009, but it is Azama Mew who will be participating in this year’s show. The fashion event takes place on April 29, 2010. You are currently browsing the archives for the Azama Mew category.